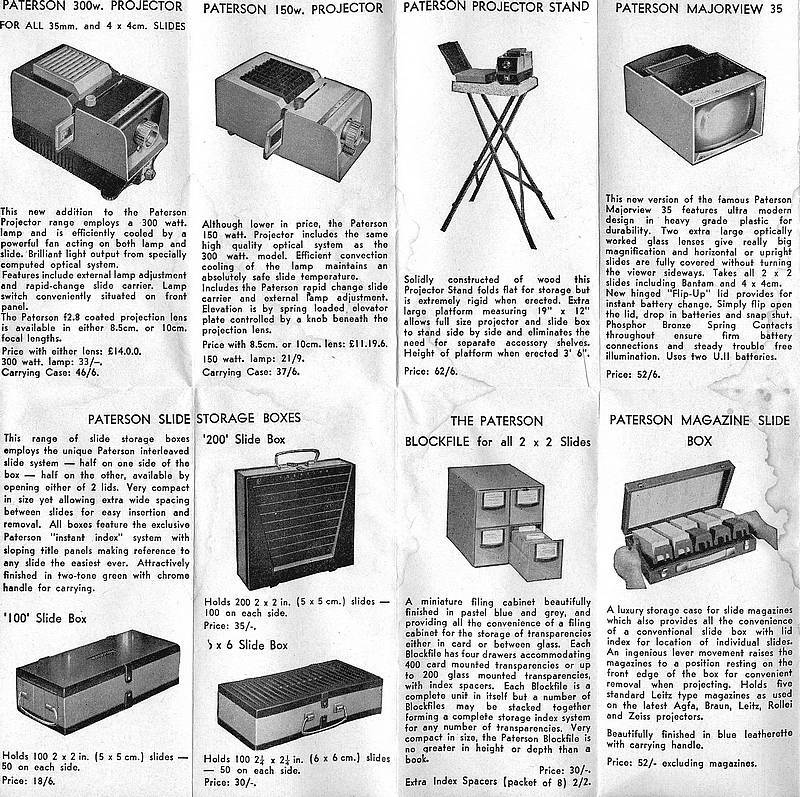 shows the full range of transparency (slide) viewers available at that time. 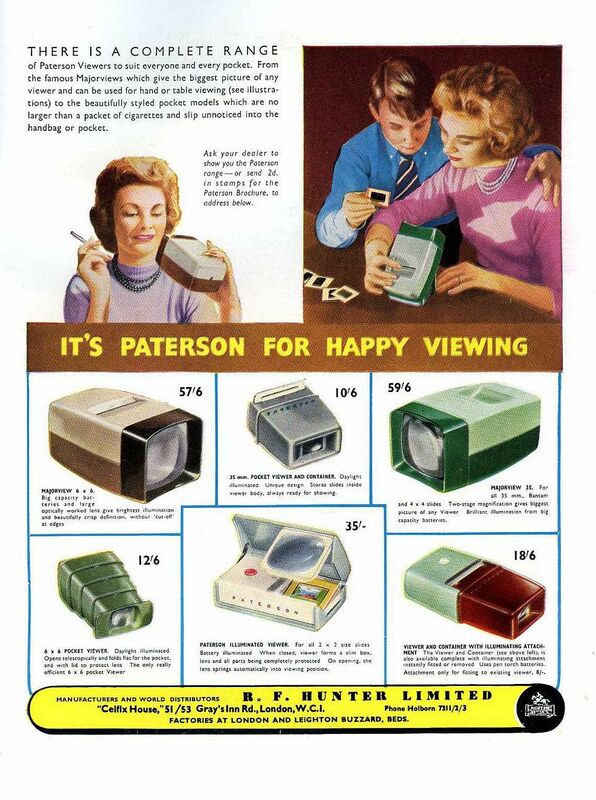 The 2 x 2 Pocket Viewer is believed to date to post-1965 (due to it being distributed by Johnsons of Hendon). 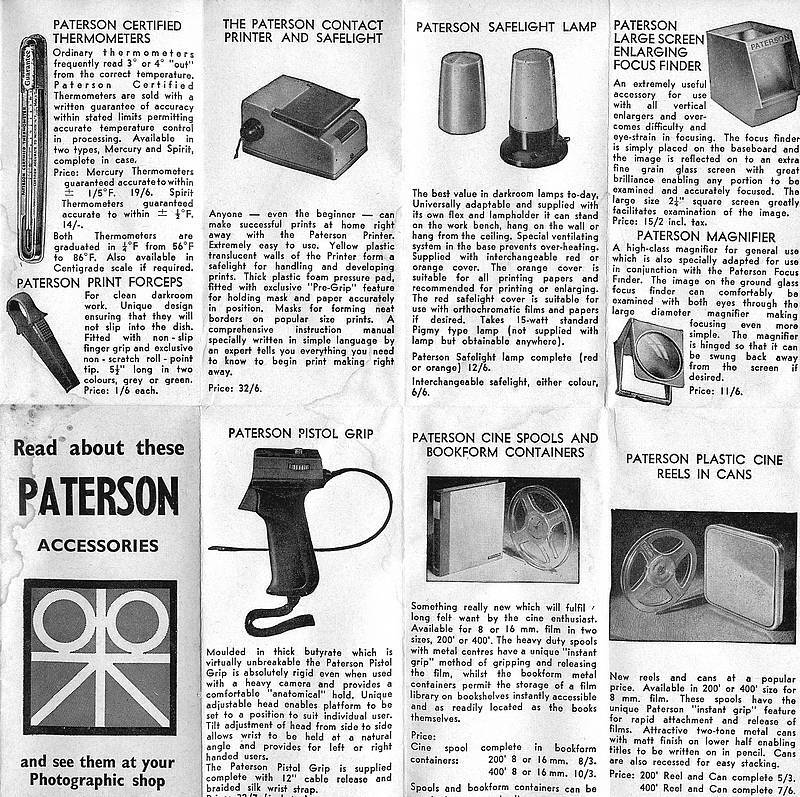 The earlier available 6 x 6 Pocket Viewer, constructed similarly but intended for 120 size roll film 6 x 6cm transparancies, can be seen (above) in the 1963 advertisement leaflet and alongside in an October 1959 R.F.Hunter advert within Amateur Photographer magazine. The viewer, collapsed and stored within its two part plastic container. Purchased for 49p in April 2014 from a local charity shop. 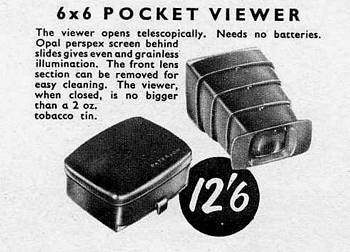 The viewer extended for use, showing the eye-piece lens. 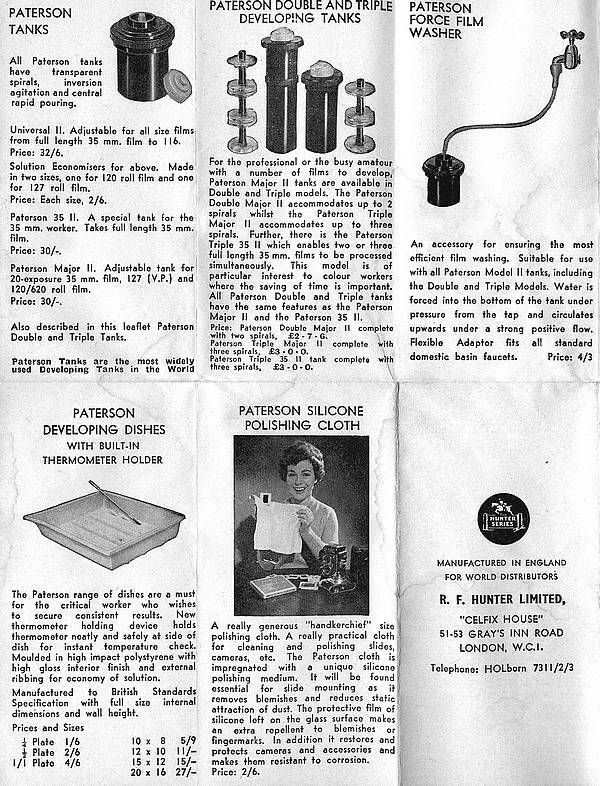 while the earlier, larger viewer for 6 x 6cm transparencies (see 1963 leaflet above), had 4 sections. Showing the matt transulent opal perspex 'lighting' screen. 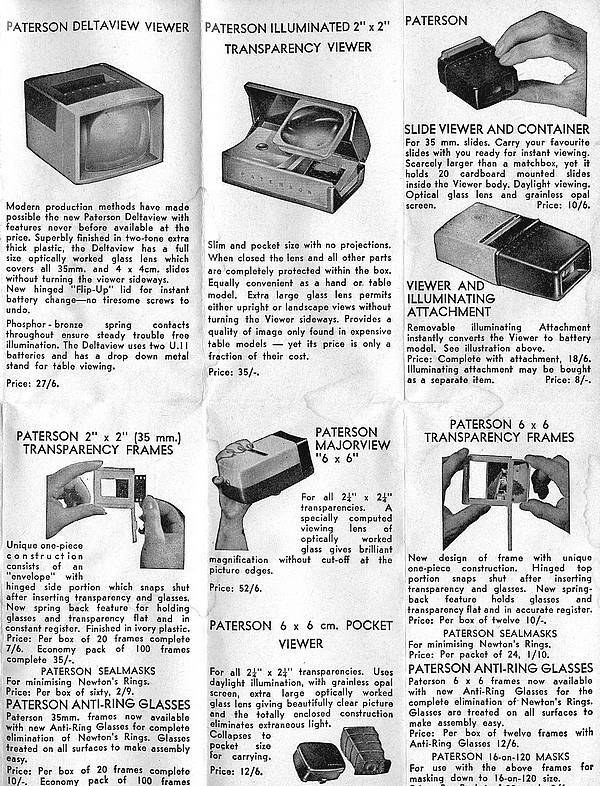 The instructions explain that the inner surface of the screen and lens can be cleaned by opening the viewer fully. Then squeezing the top and bottom surfaces of the end section (as if to close it) but slightly harder, while pulling on the section. It then becomes free of the other part, enabling the internals to be cleaned. Replacement is a reversal of this procedure.